Capterra recently conducted research to find out "which membership management software options are the most popular." They published their findings in a new infographic: The Top 20 Most Popular Membership Management Software Solutions. 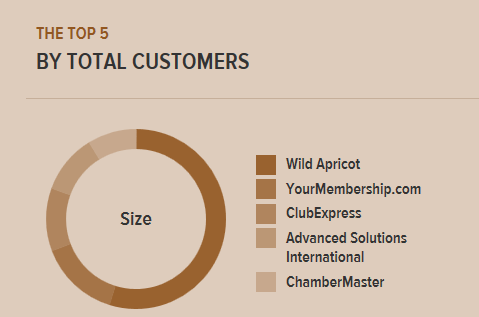 We’re proud to report that Wild Apricot ranked #1 - based on a combination of "total number of customers, members managed and online presence." Specifically, Wild Apricot ranked number 1 for "Total Customers" as well as in the top 5 for number of Facebook and LinkedIn followers. As they note in their post on the Capterra Blog "every organization’s software needs are different, and your perfect match may very well not be on this list. This should be a jumping off point for you to begin researching membership management solutions and give you a framework for determining the best software for your organization." Why care about popularity and recommendations? One of the biggest challenges for any service provider is building trust. I commonly get asked "how long has Wild Apricot been around?" and "how many customers use the software?" What I believe people are really trying to learn from these questions is whether we are a solid and reliable company with which to entrust important functions and information from their organization, such as membership applications, event registration, email newsletters and more. I would certainly want to know this if I were in their shoes, and I believe it helps you feel confident that a company can meet your needs if they are already meeting the needs of many of your peers. That's why we're proud to have been serving thousands of membership organizations such as associations, non-profits and clubs for more than six years, and we have every intention of continuing to grow and serve many thousands more for years to come! While it’s great to be ranked #1 in popularity, we recognize that peer recommendations are also a very strong endorsement. As we’ve noted in past posts, recommendations from friends, family and colleagues can have a huge impact on purchasing decisions (including decisions to join associations and membership organizations). 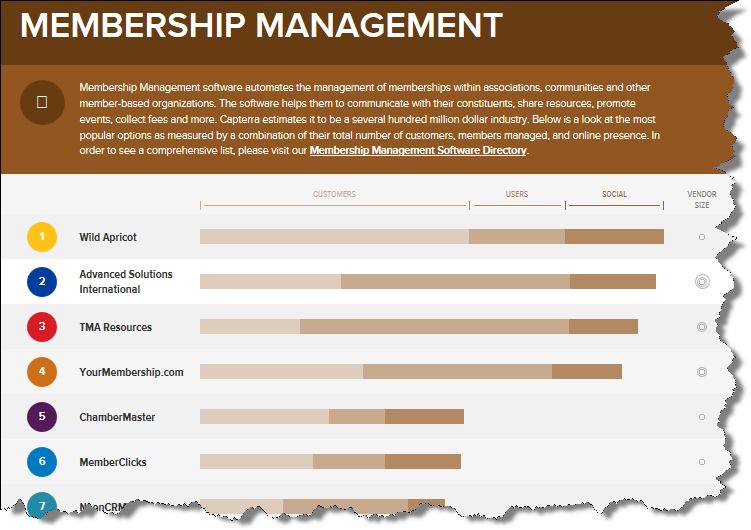 So, while we're pleased at being ranked #1 according to their research, we're also proud of the dozens of reviews of our membership management software on the Capterra directory, a free resource that helps people find and compare business software. In addition, we are thrilled to have numerous user recommendations on our LinkedIn company page. In fact, we believe so strongly in the power of recommendations that we highlight these LinkedIn recommendations right on the home page of our marketing website so potential new Wild Apricot users can see what their membership peers think of us. Our success with this tactic even led to us being included as a case example in the book - Social Media Marketing for Dummies. You can check out Capterra's full infographic illustrating their research findings here: Top 20 Most Popular Software Solutions.